Santa has left you a shiny present under the tree. Is it a chocolate? Have a nibble and see. Looking forward to bell ringing this Christmas? 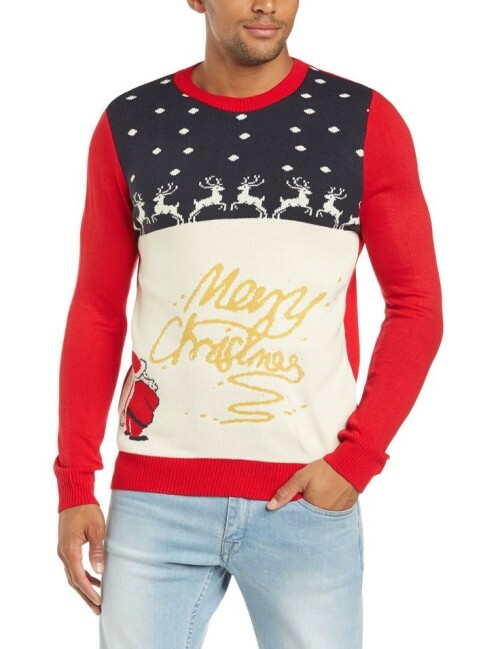 Then how’s about you wear this winter wonder to the local bell ringing session – grey jumper with a delightful festive message – you’re bound to pull! Looks like Santa has lost his sack. Oh no, there it is! 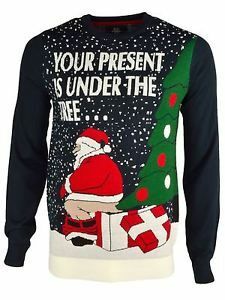 Rude Santa Christmas jumper. When I think of you I touch my Elf ….